1. Write an end of the year letter letting your students know how much they impacted you. For inspiration, please check out Nicole Anderson Ellis' End of the Year Letter for My Students and Shawn Storm's A Thank You Letter to My Past, Present and Future Students. 2. 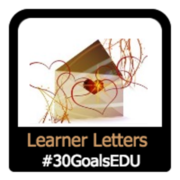 Write a reference letter for your students for their future teachers to read. The idea is to make sure your students walk into next year's class without any labels.